The next launch opportunity is Tuesday, April 14, at 4:10:40 p.m. EDT. 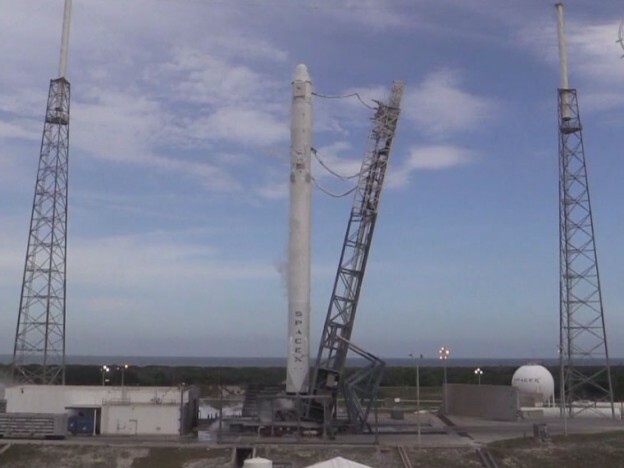 NASA Television coverage will begin at 3 p.m. at: https://www.nasa.gov/nasatv. To join the online conversation about the SpaceX CRS-6 launch, the International Space Station and Expedition 43 on Twitter, follow @Space_Station and the hashtag #ISScargo. I’m Masters Student in Aerospace Engineering at Techniche Universitat Munchen, Germany. I would like to know if it’s possible to meet the Astronauts/Cosmonauts who are on earth right now like Yelena Serova and others. Is there any way that i can contact them or request for an appointment? Currently my HOD of Astronautics Department at TUM is an ESA astronaut his name is Dr Ulrich Walter. But i would like to know if there is a way to meet other astronauts??. We wait for successful landing.